Its a different experience when you take a motorbike to tour the unseen areas of HCM city. We went to an old cafe which has already operated for 80 yrs & have a really nice cup of coffee. 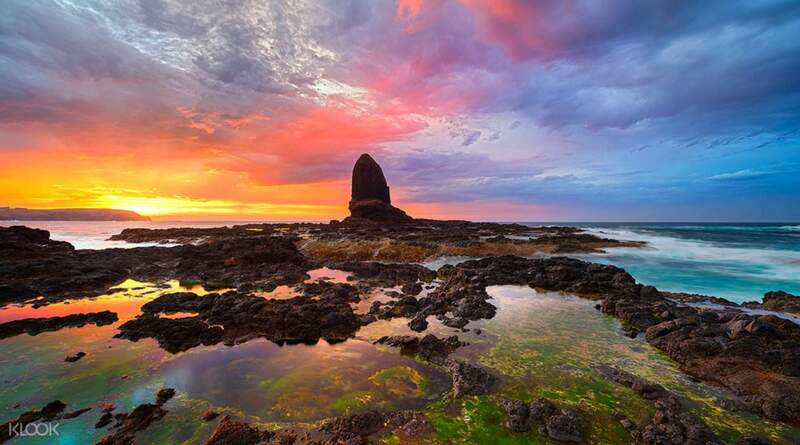 Explore the beautiful Mornington Peninsula and visit its main attractions on a convenient one day tour from Melbourne including entrance tickets to Point Nepean National Park, a chocolate or strawberry farm and Adventure Garde. Start with a convenient hotel pick up in the city and hop into a comfy air-conditioned coach. 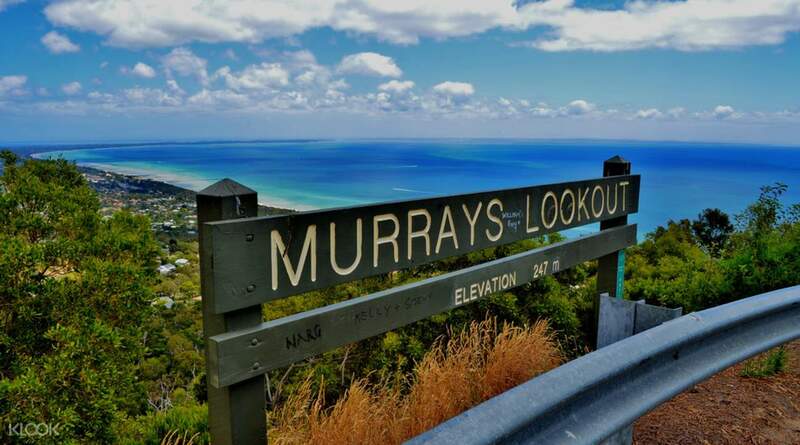 Head to Murrays Lookout, the highest point on the peninsula for some panoramic views. Go on to discover Australia’s nature at Point Nepean National Park and visit the coloured bathing boxes at seaside town of Portsea or choose to explore the resort town of Sorrento instead. 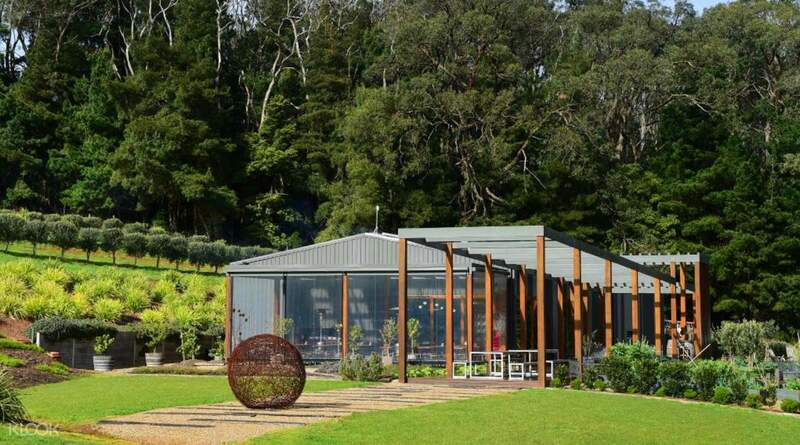 Take a break over a delicious Aussie-style lunch at a local farmgate and go on to see more of the peninsula: visit an artisan chocolate factory, go strawberry picking or wine tasting (depending on the season). It was a great experience! Clinton was a great tour guide and even with the road detour at the office, he still managed to make a joke out of it even though it was peak morning traffic. He was ever ready to manage all the lame jokes that I was throwing around and also went out of his way to make the wine tastings happen. The tour group that I was with was also very enthusiastic and fun to be around as well. It was a great experience! Clinton was a great tour guide and even with the road detour at the office, he still managed to make a joke out of it even though it was peak morning traffic. He was ever ready to manage all the lame jokes that I was throwing around and also went out of his way to make the wine tastings happen. The tour group that I was with was also very enthusiastic and fun to be around as well. Had a bad experience from the beginning of the tour as I was missed out by the driver for the hotel pick up; my hotel receptionist called twice to follow up on my pick up and was given 2 different replies till eventually someone from the company arrived to fetch me, this was 30 minutes behind the intended pick up time. Although sufficient time was allocated for each stopover, felt that we perhaps can further cut the time or even visiting the Enchanted Garden as it was plain boring for the adults. More time for the strawberry farm would be appreciated as long queues were experienced. Overall, it is worth a day trip out of Melbourne though a re-visit to the stopover timings could be better. Had a bad experience from the beginning of the tour as I was missed out by the driver for the hotel pick up; my hotel receptionist called twice to follow up on my pick up and was given 2 different replies till eventually someone from the company arrived to fetch me, this was 30 minutes behind the intended pick up time. Although sufficient time was allocated for each stopover, felt that we perhaps can further cut the time or even visiting the Enchanted Garden as it was plain boring for the adults. More time for the strawberry farm would be appreciated as long queues were experienced. Overall, it is worth a day trip out of Melbourne though a re-visit to the stopover timings could be better. 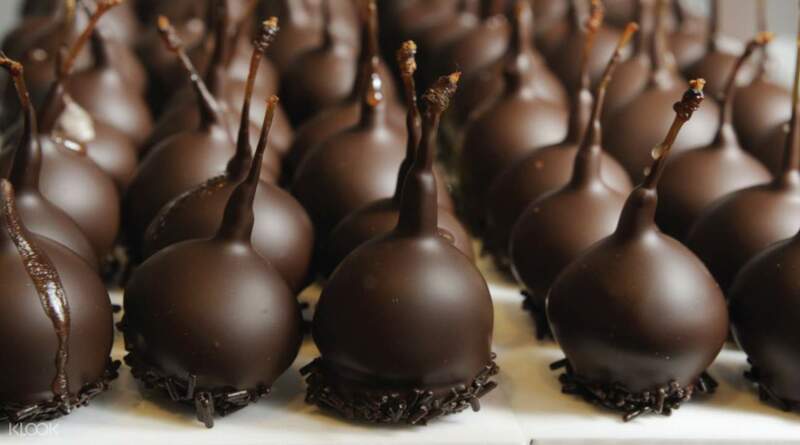 Overall is good except that didn’t manage to get to the chocolate as stated in the itinerary. Plus point is we managed to see dolphins at the Point Napean. Overall is good except that didn’t manage to get to the chocolate as stated in the itinerary. Plus point is we managed to see dolphins at the Point Napean. Its a different experience when you take a motorbike to tour the unseen areas of HCM city. We went to an old cafe which has already operated for 80 yrs & have a really nice cup of coffee. Its a different experience when you take a motorbike to tour the unseen areas of HCM city. We went to an old cafe which has already operated for 80 yrs & have a really nice cup of coffee. The morning session was quite boring, views was not particularly good and the beaches are not good at all. The portion of the lunch was small and the taste is so-so. Afternoon session is better. The paid AUD10 to pick the strawberry. The maze garden is fun. The morning session was quite boring, views was not particularly good and the beaches are not good at all. The portion of the lunch was small and the taste is so-so. Afternoon session is better. The paid AUD10 to pick the strawberry. The maze garden is fun. It was a relaxing trip which brought us to the beautiful coastline and sandy beaches of Mornington Peninsula. Lunch at Olive Redhill was simple delicious followed by a brief wine appreciation. Picking the strawberries was a new experience for us, so was quite fun although we wished the weather to be cooler. At the Enhanted garden, kudos to Brandon our tour leader, with his energy and leading my 2 boys and other kids with the flying fox and outdoor activities. My boys had fun. Thank you! Note that the flying fox came with additional $10 per person though. It was a relaxing trip which brought us to the beautiful coastline and sandy beaches of Mornington Peninsula. Lunch at Olive Redhill was simple delicious followed by a brief wine appreciation. Picking the strawberries was a new experience for us, so was quite fun although we wished the weather to be cooler. At the Enhanted garden, kudos to Brandon our tour leader, with his energy and leading my 2 boys and other kids with the flying fox and outdoor activities. My boys had fun. Thank you! Note that the flying fox came with additional $10 per person though. Scenary was beautiful and the tour guide was friendly. Scenary was beautiful and the tour guide was friendly. It was honestly a pretty disappointing tour as compared to all the other tours I've been on in Australia. The guide wasn't very informative in give us a background of where we are going. I'm not a history buff so I'm not expecting a very comprehensive download but even general gists of what's going on wasn't consistently provided. He wasnt engaging and was also pretty impatient. The lunch was also mediocre and not filling. Even when taking the orders he forgot to take it and the people who went to the hot spring couldn't put in their orders and the guide simply just orders half and half vegetarian and meatball option. The group is just expected to take it because the orders have been put in. There wasn't any effort to create a lively atmosphere or engage the group. Very disappointing and not recommended. It was honestly a pretty disappointing tour as compared to all the other tours I've been on in Australia. The guide wasn't very informative in give us a background of where we are going. I'm not a history buff so I'm not expecting a very comprehensive download but even general gists of what's going on wasn't consistently provided. He wasnt engaging and was also pretty impatient. The lunch was also mediocre and not filling. Even when taking the orders he forgot to take it and the people who went to the hot spring couldn't put in their orders and the guide simply just orders half and half vegetarian and meatball option. The group is just expected to take it because the orders have been put in. There wasn't any effort to create a lively atmosphere or engage the group. Very disappointing and not recommended.